Our concierge services are designed to provide whatever you may need regardless of the time and day. You can spend more time exploring the attractions and sights throughout Miami Beach by allowing us to take care of all housekeeping services. What’s more, should you run into any problem while staying in one of our Miami Beach properties, we have property managers available 24 hours a day every day of the week ready to assist you. With the numerous places to explore throughout Miami Beach and neighboring Miami, we can provide you with virtually anything you might need. Don’t worry about preparing meals, we can provide a private chef who will prepare a healthy meal for you. Are you in the mood to sail across the waters of Biscayne Bay and the Atlantic Ocean? We’ll take care of renting watercrafts. Perhaps you need someone to look after your children, do your groceries, groom your pet, or rent a vehicle for you. We can assist you with all of this and virtually anything else you might need to make your stay in Miami Beach as incredible and memorable as possible. Experience Miami Beach and South Florida the way it was meant to be. 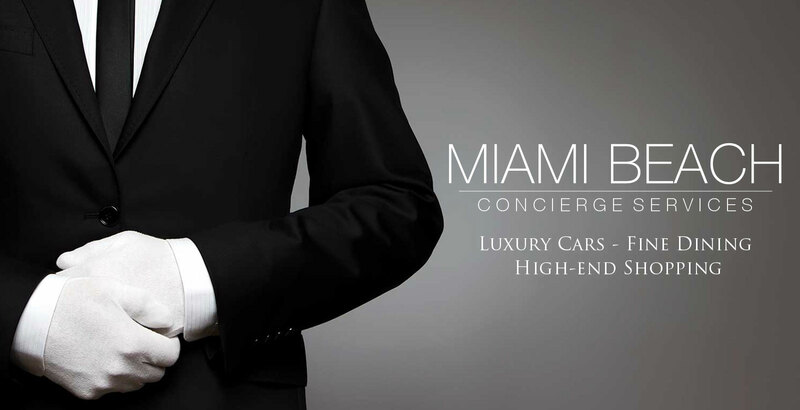 Contact us today and see why our concierge services are truly about providing whatever you need when you need it.